Known as “The Mother of All Apps”, BeepBeep Nation (https://beepbeepnation.com) is an all-in-one solution that conveniently solves its users’ daily problems with a few simple taps. It does this by facilitating the connection between a person who needs help (called a requestor) and a person who can provide the help (called a helper). The EMINENT token (https://eminent.beepbeepnation.com) is the fuel for the app. A user uses it to send out requests for help (called “Beeps”) with BeepBeep Nation, to an area of 1-5 miles from the location he is in, or in a location he specifies (where he may not necessarily be in). Examples of help that can be requested or provided via the app include getting the most accurate, real-time information from real people at a specified location, a free ride to a certain place or a free place to stay, and even quick assistance during emergencies such as a vehicle breakdown, a medical crisis, or finding a missing pet or family member. In fact, there is virtually no limit to the type of help that can be requested via the app. What Problems Does BeepBeep Nation Solve? BeepBeep Nation is an alternative to the major service apps out there like Uber and Airbnb, with a strong differentiator in that its users can get those services for free, as it enables one user to get another user to willingly help him out without any expectation of a reward in return. Users who are used to Uber’s surge pricing during peak hours which can be double or triple their usual fare and the not-inexpensive accommodation fees by Airbnb hosts will certainly appreciate BeepBeep Nation’s advantage. There is no limit on the scope of “services” that BeepBeep Nation users can provide in the form of help, way beyond Uber and Airbnb themselves. Uber drivers need to drive a relatively new car to qualify to drive for it. Drivers also need to achieve a certain number of trips in a certain period of time to qualify for certain incentives. With BeepBeep Nation users providing help to each other when they can, there will be no such restrictions. They can be driving a truck, as long as the requestor does not mind. They can also choose which requestor to help and when – with nobody to penalize them if they choose not to help anyone that day. Similarly, with Airbnb, the hosts have to maintain a certain standard in terms of amenities and cleanliness to their guests. There are no such requirements for BeepBeep Nation users since the helper is doing the requestor a favor. As long as the requestor is fine with the set up, everything’s good. Notwithstanding that the provision of help is by its very nature free, the requestor may provide a Gratitude Tip to the helper upon the help being rendered. But this isn’t compulsory. Likewise, if it is offered, the helper isn’t obliged to accept it. If a Gratitude Tip is offered by the requestor and accepted by the helper, BeepBeep Nation does not get a cut from it. This means BeepBeep Nation isn’t part of the transaction between the requestor and the helper. Helpers don’t work for BeepBeep Nation in any capacity and has no legal relationship with it other than as its users. BeepBeep Nation’s results for specific queries for a certain location are served by real people and at the time the query is made, unlike information provided by Google, Twitter, Facebook and Yelp, which are historical in nature and served by computers to a later query. A query like “Who would like to sell their Taylor Swift NYC concert tickets to me here in NYC?” cannot be adequately answered by any of those providers, but can be responded to very accurately by BeepBeep Nation users who are actually in NYC at the time they received the beep. Another query of “Is Wong’s (a chinese egg noodle restaurant) open in Ho Chin Minh city today?” cannot be adequately answered by Google and Yelp, if the restaurant follows a different calendar to close its outlet. However, BeepBeep Nation users will be able to provide the answer if they’re near to or in the actual restaurant itself when they received the query. Social media platforms like Facebook, Twitter, Instagram and similar link “friends”, “followers” and “connections” in ways that actually make them see each other less and less in person, as most of their functions are done on a smartphone or desktop screens in the comfort of their own homes. BeepBeep Nation reverses this trend significantly to revert its users back to the days when being social actually means meeting up on a face-to-face basis. In the process, the world not only becomes a much better place, but we will all become closer to each other as humans are social creatures by nature. This will also give us some exercise, as we have to move around to meet each other. To ensure the safety and security of people upon using the platform, BeepBeep Nation developed an algorithm that provides some guidance to a user’s past history on the app, called “Beep Rank”. It takes into account feedback by other users on both the requestor and helper’s behavior when helping out or being helped. Each user’s Beep Rank will range from 1 (new) to 10 (established). Factors relevant to Beep Rank include how many people he has helped in the past, how frequently he has provided help in a given period, and how active he has been recently. As such, BeepBeep Nation users will be watching out for each other to create a community of good people in order for everyone to be safe using it. BeepBeep Nation will develop other aspects related to the helping economy and work with companies that specialize in identity verification and location verification using blockchain technology. Blockchain technology makes identity and location records immutable, which will give certainty to both requestor and helper when they check their safety and security during a help request. Such features of BeepBeep Nation are fuelled by its very own cryptocurrency, the EMINENT (EMN) token. Requestors can pay for Beeps, send their helpers Gratitude Tips, and avail of other BeepBeep Nation services by using EMN tokens. Transactions can be more securely settled in the form of EMN tokens instead of fiat. 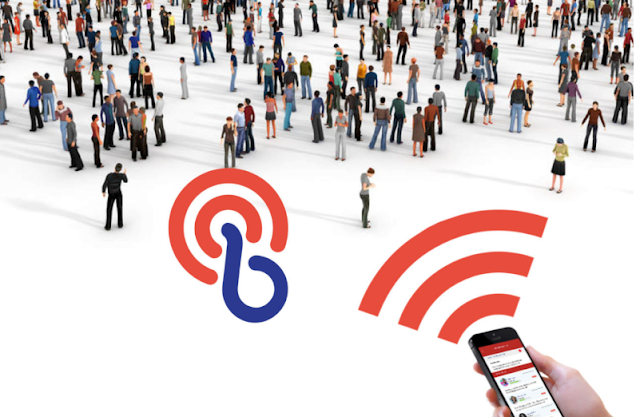 Users’ public keys need not be known to each other, and payment settlements are facilitated through the BeepBeep Nation app with a single tap of a button by the requestor. Requestors can purchase EMN tokens from exchanges or earn rewards from the reward mechanics of BeepBeep Nation. Other than helpers receiving Gratitude Tips in EMN tokens, businesses can use EMN tokens to purchase BeepBeep Nation’s value-added services off the platform at a preferential rate. Helpers can then sell the EMN tokens on the exchanges in exchange for other cryptocurrencies or fiat. BeepBeep Nation’s CEO and co-founder, Sen Ze, is a former lawyer, founder of several online companies, and best-selling author of multiple books on Internet entrepreneurship, social media marketing, mobile marketing and entrepreneurship in general. Its CFO and co-founder, Samuel Sham, is an experienced auditor and liquidator, former CEO of a Trustee company, a Certified Financial Planner and a Chartered Family Office Specialist. The company’s CTO, Jelson Low, has expertise in computer systems analysis, design and development, having done work for clients in the financial industry and specializing in Internet banking systems. Its CMO, Charles Wong has managed a portfolio of over 100 clients from startups to established brands in the property, food and beverage, e-commerce and events industries. The company’s advisors include Thomasan Chan, a serial entrepreneur with a company acquired by Rocket Internet; Nizam Ismail, one of Singapore’s leading lawyers on blockchain projects; Christopher Lee, co-founder of one of the top e-commerce retailers; and Jeremy Khoo, a blockchain entrepreneur. Sales of the EMINENT (EMN) ICO will fund the marketing of the BeepBeep Nation app, soon to launch worldwide. Sale of the EMN token is live now at $0.25 each, with a current bonus offer of 7% extra tokens. Check out the list of related links below to find out more on BeepBeep Nation and the EMINENT token that fuels it.